Developing a happy healthy safe environment from an early age! It is essential for young children to have creative spaces to develop their core skills. A bright enchanting area full of playground markings is a great start. 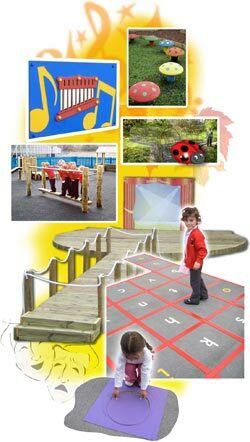 Ares that can be changed easily on a daily basis, with lots of different play pockets for them to play, explore and be happy, will stimulate their imagination and develop other essential skills.